Alpniestars is releasing a new four-season adventure jacket this upcoming fall called the Alpinestars Vence Drystar Jacket. This jacket features Alpinesar's proprietary Drystar liner with taped seams to keep you warm and dry in the less favorable months. 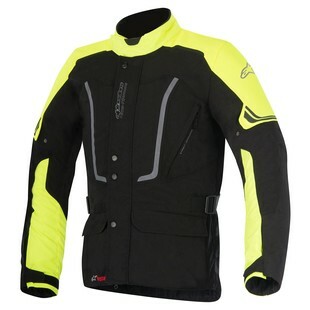 This jacket doesn't just keep you covered from the elements, though, it also has CE Level 1 armor in the elbows and shoulders, as well as a pocket in the front and back to accommodate Alpinestar's Nucleon chest and back protectors, respectively. This jacket will be available from small to 4XL and has multiple fit and volume adjusters which mean this jacket will be a great fit for nearly every rider. Overall, this jacket is a great four-season option that will keep you covered year round and let you look good while doing it.